The school holds regular tests and examinations through out the academic year. The progress report and paper file shall be shown to the parents after each examination. They should make inquiries if the report file is not shown to them by the school. A pupil absent from an examination for any reason will not be re-examined. 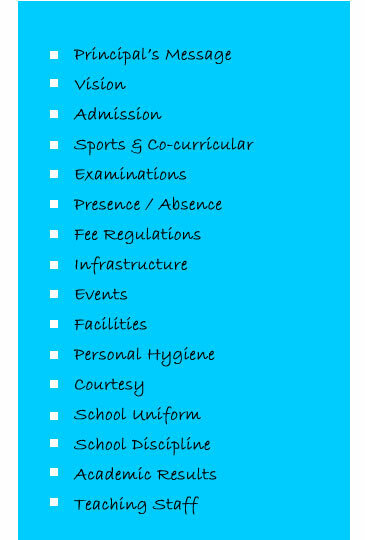 A pupil will not be permitted to appear for the Terminals or Final Examination unless all fees & dues are paid upto date.